Looking for a good VPS Hosting provider? Bluehost is one of the most popular hosting providers on the web and they offer VPS hosting at competitive prices. 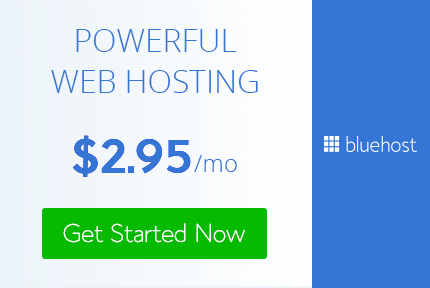 But is Bluehost VPS a good choice for its features and pricing? Find out in this Bluehost VPS Review. Bluehost VPS Hosting: Is It Worth It? Bluehost (read my full review) was founded in 2003 by Matt Heaton. It is currently owned by the Endurance International Group. Bluehost is one of the largest and most popular web hosting companies in the world. It has over 2 million customers, and its head office is located in Utah. Bluehost has grown with time. It has always had a dedicated team that keeps improving the overall service for better customer experience. It caters to a variety of needs from shared to virtual servers. It has a great reputation in the industry for its services. It provides excellent resources coupled with SSD storage. Bluehost makes it easy for the user to switch to a cloud-based service if required. A user can even switch to dedicated servers if they feel the shared environment does not meet their requirements. This article looks at various aspects of Bluehost’s VPS service. It takes into account the reliability and scalability a user enjoys while using this service. We will look at operating systems, servers and services to give you a clear picture of what to expect as a subscriber of this service. A breakdown of features is essential for choosing the right company for your VPS hosting needs. Bluehost is one of the best hosts for beginners. The ease of use and features that Bluehost provides ensure a good experience for first-time website owners. It caters to various needs of the user. It transitions beginners into the world of VPS and dedicated hosting and can cover a wide variety of needs. The virtual server plans offered by Bluehost are just as good as its reputation. A user can start at a small scale and keep adding features as they go along. Additional RAM, CPU cores and disk space are just a few examples. Bluehost’s price is affordable when compared to other hosting companies. It even provides SSDs and a large chunk of bandwidth along with its packages for no additional cost. The VPS plans offered by Bluehost are especially impressive because they come with complete managed support. Bluehost has a wide range of features for its users. It offers most of the features provided by other hosting sites along with various others that give it a competitive edge. These features provide users great value for money. This impressive list of features provided by Bluehost is complemented by efficiently managed servers. The support staff is also well-versed in the field and provides excellent customer support 24/7. The prices for Bluehost VPS hosting are among the most flexible in the industry. It offers different plans that can cater to a variety of needs, and all plans are priced very competitively with discounts usually being offered. Bluehost understands that each user’s need is different and makes price plans accordingly. A user whose site gets 10,000 monthly views would need a different VPS plan than a site that gets a million views. The difference in price caters to these needs. Thus, you can easily find a VPS plan that caters to your budget and needs. Bluehost makes VPS hosting a very flexible experience. This flexibility isn’t only in terms of pricing; it also takes into account the resources used, performance and configurations. This makes it one of the best hosting companies in the market, especially for VPS hosting. There are various other companies that have cheaper plans or offer more server power, but Bluehost gives a lot of value for the price. For instance, free SSD storage and managed services are not provided by many other hosting companies, which adds incredible value to Bluehost’s VPS plans. The company’s virtual servers work on small machines, but they provide incredible performance. This is why it is referred to as a next-generation VPS hosting provider. You would usually start with two cores, but you can add more along with memory and storage as the need arises. Bluehost also uses SSD storage, which greatly increases the speed. Another key feature to consider when choosing a hosting provider is uptime. It refers to the percentage a particular website is online and can be accessed. Downtime for your business could result in revenue loss, especially for online businesses. Bluehost guarantees to keep the site up 99.9% of the time and make good on its promises. In fact, the uptime provided by Bluehost is higher than the industry average, and it has a great reputation for delivering on its promises. In terms of reliability, Bluehost’s VPS hosting service scores high marks. As stated before, its uptimes are consistent. Furthermore, hardware and human reliability are also top-notch. Generally, various problems arise due to the unreliability of customer support in the hosting industry. They are usually termed clueless or hard to reach. However, the customer support team at Bluehost is one of the best in the industry. It is great at answering all queries and clearing any confusions in a timely manner. Thus, Bluehost is an all-around reliable hosting service provider. We also compared Bluehost VPS with Bluehost’s direct competitors like SiteGround, Namecheap, Godaddy, WPX Hosting, HostGator, etc. and overall, Bluehost VPS is a smart choice. Bluehost ranks as one of the best hosting services in the industry, not just for VPS hosting. It is great for beginners as well as experts. Bluehost has a dedicated team which keeps improving the overall user experience. Best of all, it offers state-of-the-art features at a very affordable price. Bluehost’s direct competitor SiteGround offers VPS hosting from $80, so Bluehost is very cheap when it comes to VPS Hosting. If you are looking for VPS hosting and don’t have a lot of money to spare or are new to it, you can’t go wrong with Bluehost. Previous Post: Namecheap Vs Bluehost: Which Provides Better Hosting? Next Post: Bluehost Vs HostMonster: Which Provides Better Hosting?